Psalms 107:14 He brought them out of darkness and the shadow of death, and break their chains in sunder. Ladies Arise and Shine. 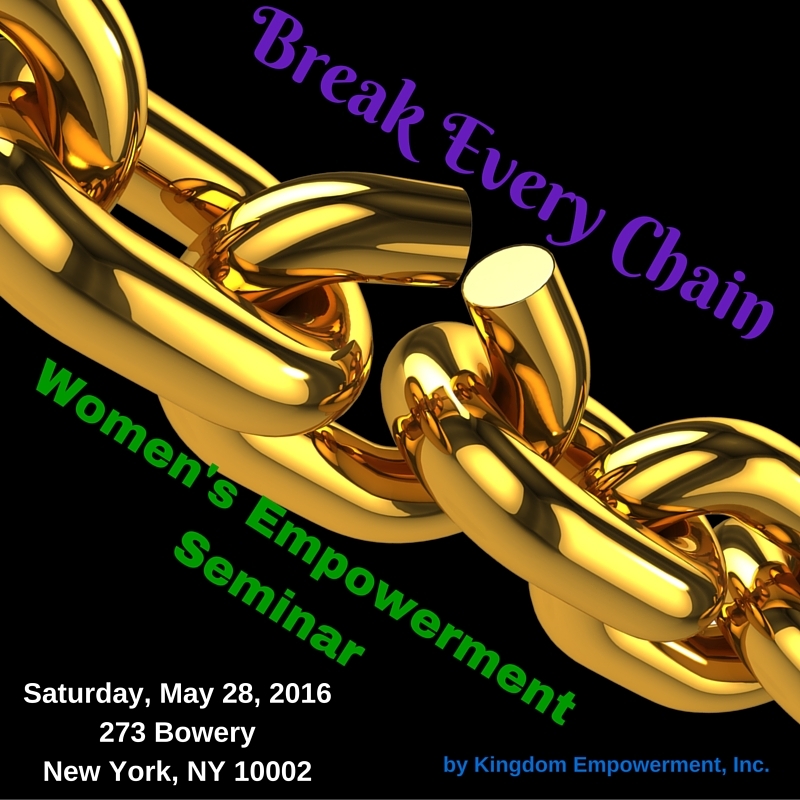 You are invited to attend fabulous workshops and panel discussion, Brunch, and powerful breakthrough sessions at the “Break Every Chain” Women’s Empowerment Seminar with Kingdom Empowerment, Inc at University Settlement, 273 Bowery, NY, NY 10002 on Saturday, May 28, 2016 from 10:00 AM to 2:00 PM EST Registration is $35.00 and includes brunch. The workshops will focus on exploring the forces that bind and inhibit women’s abilities to pursue and accomplish their God given purpose. Attendees will be equipped with strategies to loose the chains that bind and move forward in their lives with purpose, determination and enthusiasm. 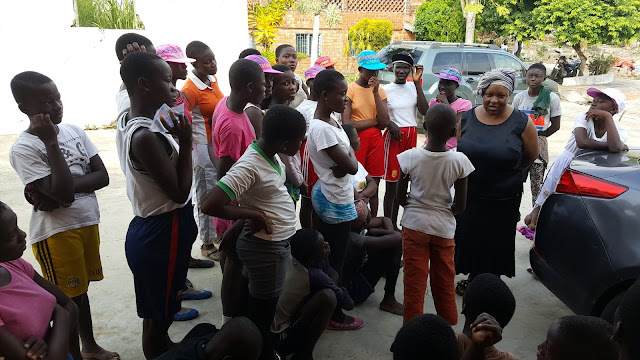 In addition to the workshops, Rev. Donna Ghanney will facilitate a panel discussion on women’s empowerment in business, leadership, and ministry. 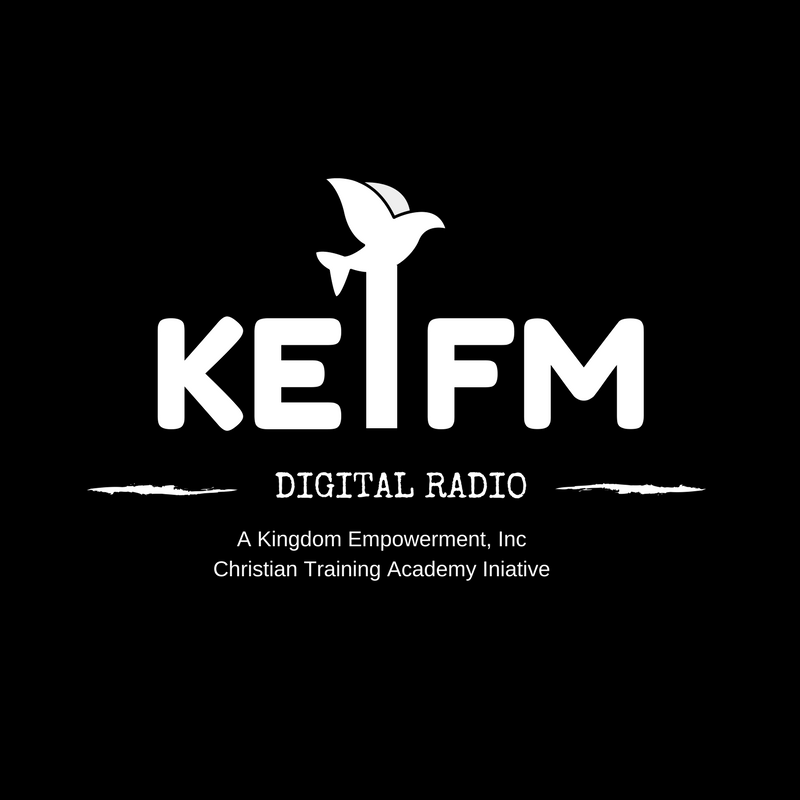 Special Guest Speakers: Kingdom Girls Talk Show Host: Roxanne Brown-Robinson, Kingdom Strategies Talk Show Host: Evangelist Dihima McLean, Rev. Donna Ghanney, and Ebony Lambright. All women are invited to participate in the Saturday activities. Space is limited, so in order to reserve your seat, registration is required to receive Empowerment Tools and Gifts. Get connected with Women’s Ministries through Facebook, blogs, Twitter, texting and Pinterest. Focus on personal, spiritual growth through intentional disciplines. 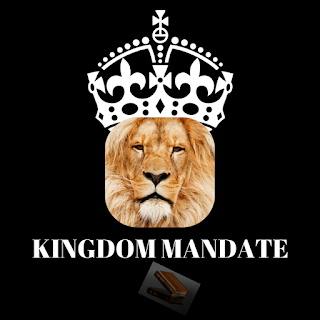 1 Complimentary Ministry, Business, or Life Coaching Session for each attendee valued at $125.00 Each. 3 Special Door Prize from Jewelry4AQueen Valued at $99.00 Each.